According to the item’s listing on GameStop, the Super Smash Bros. Wii U GameCube Controller Bundle is already sold out, a solid two weeks before the release of the actual game on November 21st in North America, and November 28th in Europe. 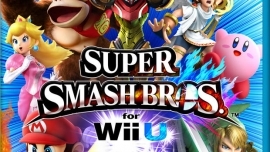 This bundle includes a copy of the game, along with the GameCube controller adapter, and the original Smash Bros. GameCube controller. It’s priced at $100 on GameStop and Amazon. 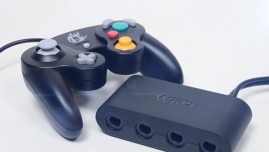 We’ve known for awhile that Super Smash Bros. for Wii U would be getting a GameCube Controller bundle that included the GCN controller adapter and one Smash Bros. themed controller. We’ve heard little about the bundle since, but now it is available to pre-order on Amazon. The bundle costs $99 USD, which isn’t too shabby considering you are getting a $60 packed game, a controller, plus an addon device for the Wii U itself.